Breakfast is the most important meal of the day, so it’s only right that you treat yourself to something delicious. 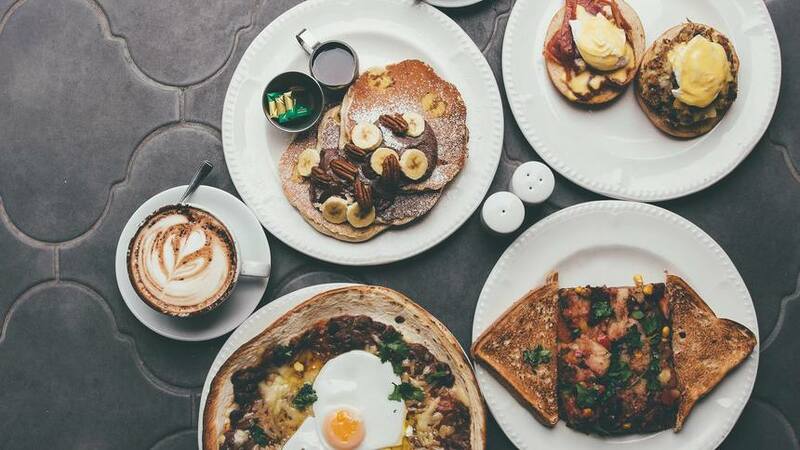 But with so many options for breakfast Liverpool leaves you spoilt for choice on where to indulge. Head to Bold Street’s East Avenue Bakehouse for an elegant start to your day. Serving freshly baked bread, deliciously garnished porridge and some of the best eggs Benedict in the city centre, you won’t be disappointed if you pop in. For something a little different from the bog-standard Full English, try their ‘The Ultimate’ – smoked bacon lardons, Bury black pudding, plum tomatoes and sauteed mushrooms served on a home-made hunk of bread with a poached egg and lashings of hollandaise sauce. 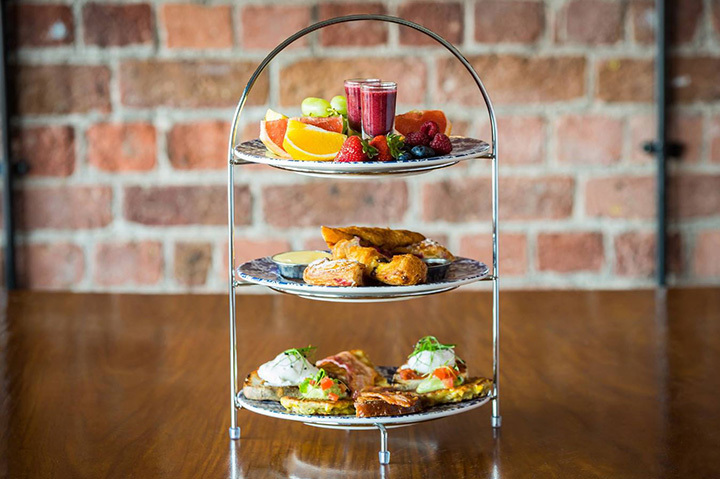 Head inside the grand old cinema that houses Leaf on Bold Street to enjoy a delectable breakfast paired with one of a variety of teas from around the world. 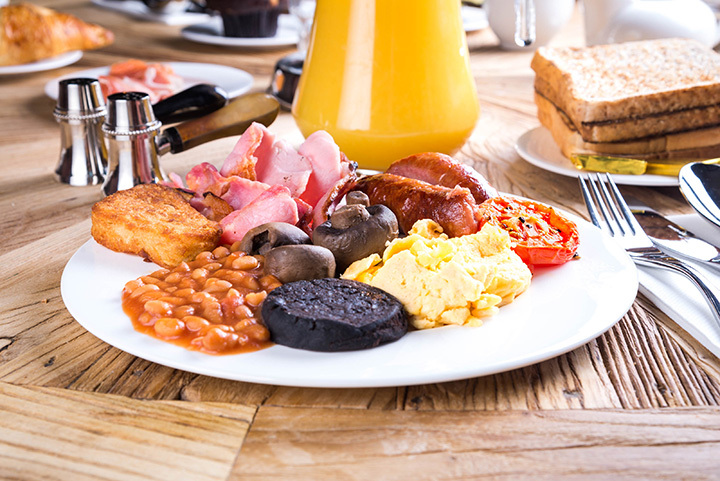 Pick from a mammoth full English, complete with bacon, sausage, black pudding, eggs, potato croquet, field mushroom, vine tomato, baked beans and toast or one of their specialist vegan and veggie breakfasts or try something different with a smoked haddock and dill fish cake with poached egg and hollandaise sauce. We recommend trying their delicious American Style Pancakes which come coated in maple syrup, Greek yoghurt and a flavourful blueberry compote. As you’d expect with a name like this, The Brunch Club takes brunching seriously. The sole brunch-only venue for breakfast Liverpool offers, you know you’ll be in safe hands at this Duke St restaurant. We’re talking specialist morning cocktails, perfected egg classics and delectable stacked pancakes from the ultimate brunch hangout spot. 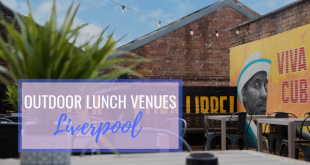 With distressed leather couches, high breakfast style tables and an outdoor seating area, this is the perfect venue to sit back and relax on a Sunday morning, enjoying a top-class breakfast in the centre of Liverpool. Head to the elegant Castle Street, in Liverpool’s business district, for a decadent brunch any day of the week. With lighter choices including pink grapefruit, porridge and seasonal fruit salad alongside classic breakfast dishes and smashed avocado on toast, you’ll find something delicious at Castle St Townhouse however big your appetite. 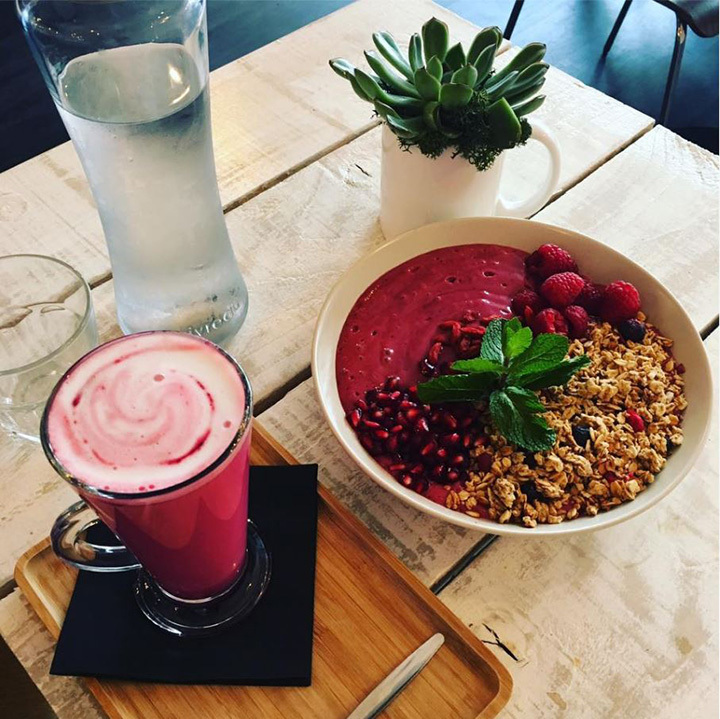 For a healthy start to your day, make your way to Bold Street’s Love Thy Neighbour. Pick one of their rainbow lattes (beetroot, turmeric, matcha or chai) and enjoy health on a plate in the form of chickpea pancakes (with avocado, tomato and hummus), coconut creamed garlic mushrooms or Cumberland sausage & red onion chutney sandwich. Looking for something a bit different? We recommend their smoothie bowls – filled with delectable and exotic ingredients like acai berry, cacao and even blended spinach! Only a short walk from the madness of Liverpool One’s shopping district, this Duke St restaurant is a welcome haven of tranquility for early morning shoppers. 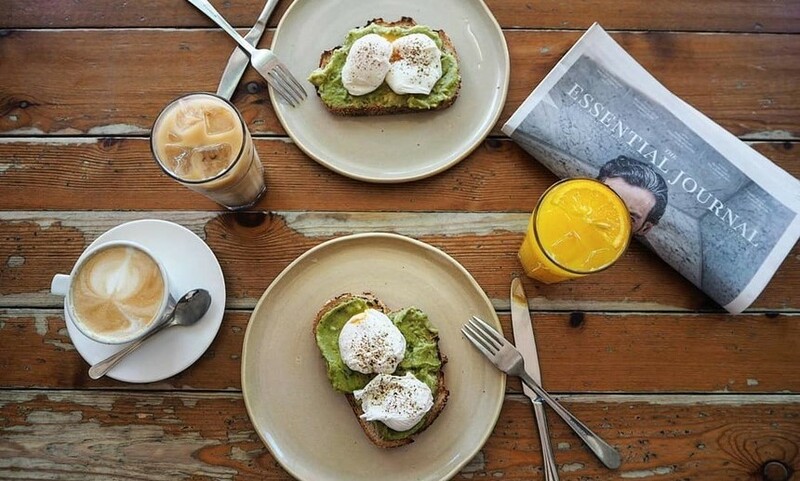 Filter + Fox’s breakfast and brunch menu includes classics such as Eggs Benny and Shrooms on Toast but you can also enjoy less regular brunching favourites such as Smash Avo Toast with a variety of toppings, Salmon and Cream Cheese Bagel or even Banana Bread with Berry Creme Fraiche, Almonds and Honey. Tucked away at the top of Bold Street amongst the area’s bustling independent shops, Café Tabac is one of Liverpool’s original cafés and aptly names itself ‘Bold Street’s Original Bohemian Hangout’. Open since 1974, Tabac is famed for its delicious breakfasts, varied cocktail menu and friendly staff. 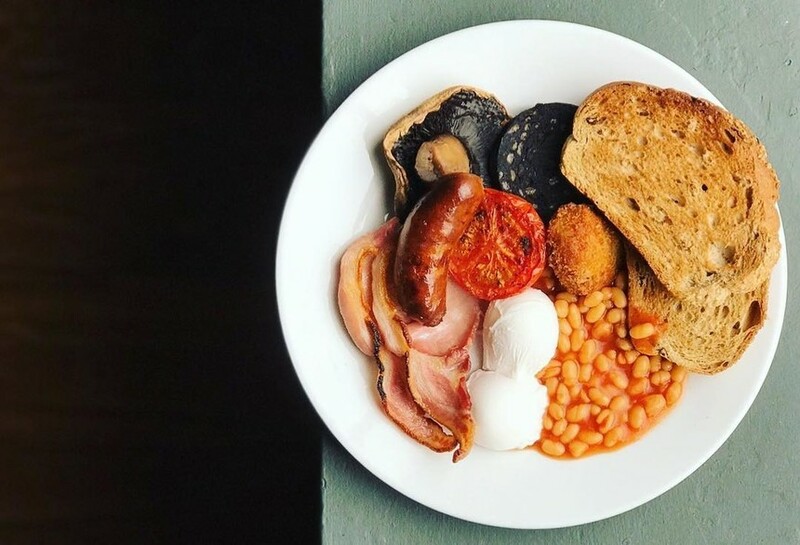 Serving all the classics, including a delicious fry up and chunky breakfast butties with sausage and egg, Tabac is a fail-safe brunching spot in the city centre. All-American & Canadian pancake house Moose Coffee is what you’ll find in the dictionary under the word ‘extravagant’. 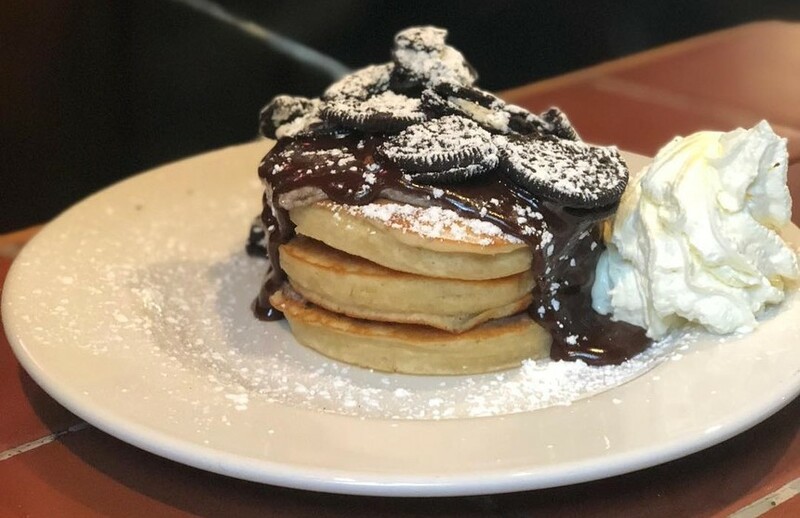 Located on Dale Street, Hope Street and in Crosby, Moose serves larger-than-life legendary american pancakes and an all-day breakfast menu that’s taller than the stacks on offer. Highlights from their extensive menu include the Sauls Smoked Chicken Cheddar Waffle, Breakfast Nachoes, a Coney Island hot-dog and Moose Eggs Benedict served on anything from Serrano ham to low & slow pulled pork and salt beef brisket. But if you’ve got a sweet tooth, we recommend sticking with what Moose do best: their Pancake Stacks taste like they’ve been shipped over the pond, with toppings including salted caramel, streaky bacon and chocolate and hazelnut spread. Temporarily ousted from their ultra-minimalist coffee bar on Bold Street and relocated to Castle Street’s Santa Maluco, Bold Street Coffee have managed to maintain the laid-back, low-key vibe of their spiritual home in this extended pop-up bar. 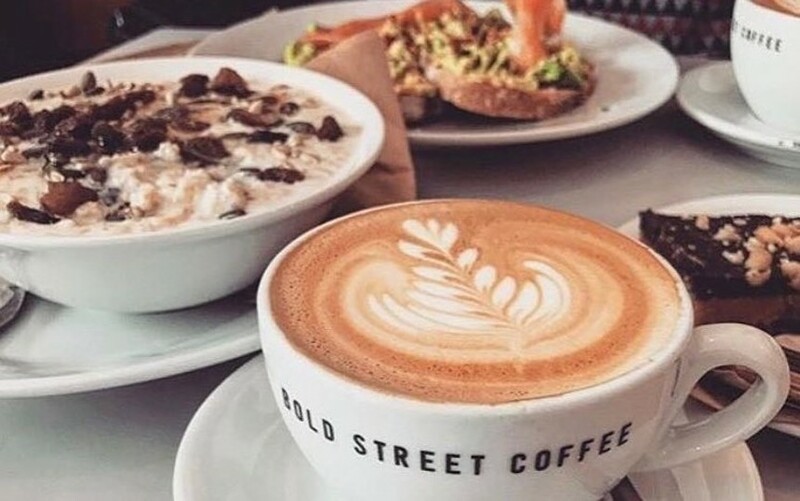 Serving high-quality coffee with a small but well-crafted menu (and some regularly changing specials), BSC is the perfect spot for your weekend caffeine fix with a side of delicious brunch. And with its weekday early opening hours from 7:30am, it’s ideal for a pre-work breakfast or a meeting brunch. And the best news? BSC will be returning to its home on Bold Street in the near future, after a kickstarter campaign raised enough money to renovate the whole building, adding a downstairs bar and an upstairs experience room. We can’t wait to see what they’ll be offering once their back on their namesake road. 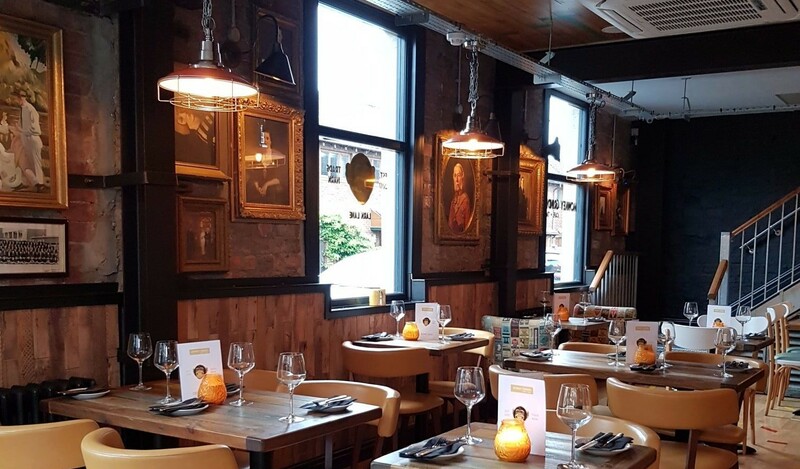 Located right next to Liverpool One and within a short walking distance of many of the city’s main attractions (including the Albert Dock), this all-day brasserie and bar is a useful brunch spot for tourists looking to fuel up before a day out in Liverpool. Hanover Street Social’s brunch menu includes plenty of hearty breakfast dishes, including the classic Eggs Benedict or Florentine, a meaty chargrilled steak with eggs and chips or a pancake stack with maple syrup and streaky bacon. Definitely the the best breakfast Liverpool offers for meat-eaters. Make a Liverpool FC fan’s day by taking them for brunch at The Bastion Bar and Restaurant. Located within The Shankly Hotel on Victoria Street, in Liverpool city centre, this unique venue offers you the chance to enjoy a luxurious breakfast while learning about the life and legacy of Reds’ legendary manager Bill Shankly. A giant of the beautiful game, The Shankly Hotel offers diners the chance to see exclusive memorabilia from Shankly’s life both on and off the pitch, kindly donated by his family. Browse some of Bill Shankly’s most prized possessions including contracts, letters to and from his fan and even his world-famous tracksuit while enjoying a classic full English in this unique breakfast experience. 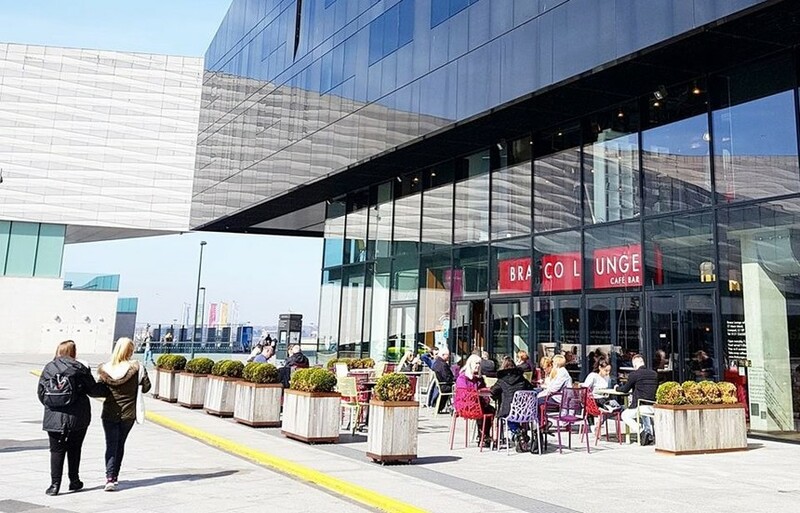 If you’re up early and exploring the beautiful Albert Dock and waterfront, head to Brasco Lounge to enjoy a delicious breakfast with a waterfront view from their outdoor terrace. 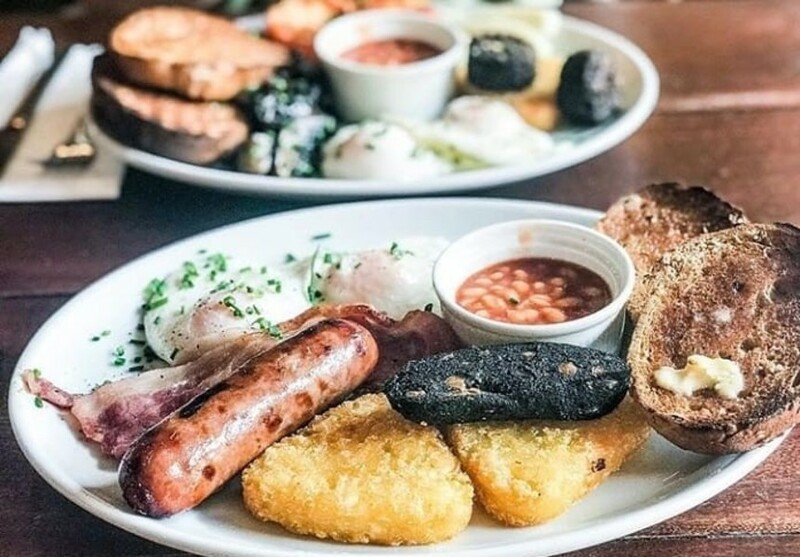 With an extensive brunch menu, that includes all the classics as well as some interesting twists (try their Lounge Eggs with Chorizo, Peppers and Guacamole or the delectable Boston Barbecue Beans with peppers, tomatoes, hash browns and an egg), you can fuel up on their freshly prepared food before heading out to enjoy some of Liverpool’s best tourist attractions. And the best bit? Fido is definitely invited – Brasco Lounge is one of the many dog friendly Liverpool venues, serving pooch owners and their beloved four legged friends all day, every day. For a bird’s eye view of Liverpool waterfront during breakfast, head to the historic 30 James Street hotel. 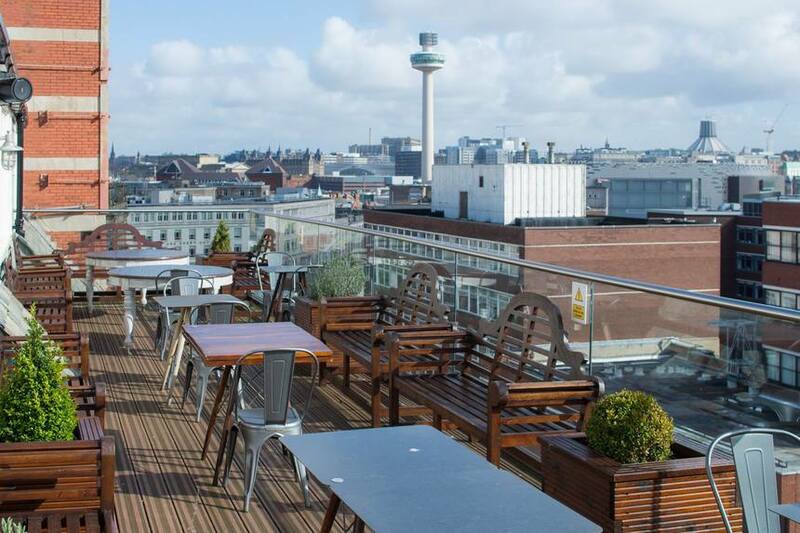 Their Carpathia Bar and Restaurant, located in the rafters of the landmark Grade-II* listed Albion House building, boasts views of the Albert Dock and Liverpool’s beautiful skyline from its outdoor terrace. The building, brought back from the brink of ruin by hotelier Lawrence Kenwright, was the old headquarters for the notorious White Star Shipping Line – the owners of RMS Titanic. Fittingly renovated into a tribute to the ill-fated cruiser, this luxury hotel boasts a spectacular restaurant named after one of the rescue ships that saved Titanic survivors. And alongside the slice of history, Carpathia serves up a delicious brunch, with classic full Englishes and delectable hot and cold buffets. Surely this is the best option for breakfast Liverpool offers if you want toast with a view? Love the smell of freshly baked bread in the morning? 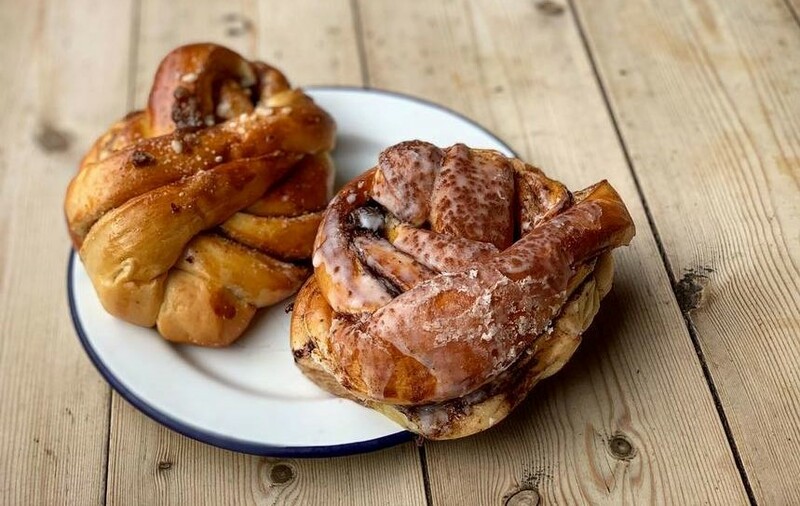 Head to the Baltic Bakehouse in Liverpool’s edgy Baltic Triangle for the perfect loaf as part of a delicious breakfast. Stop off for a bacon butty before work, stay for some just-out-the-oven pastries with a cup of coffee, or settle in for the mammoth sourdough sandwiches bursting with deli fillings like lamb kofta and falafel. 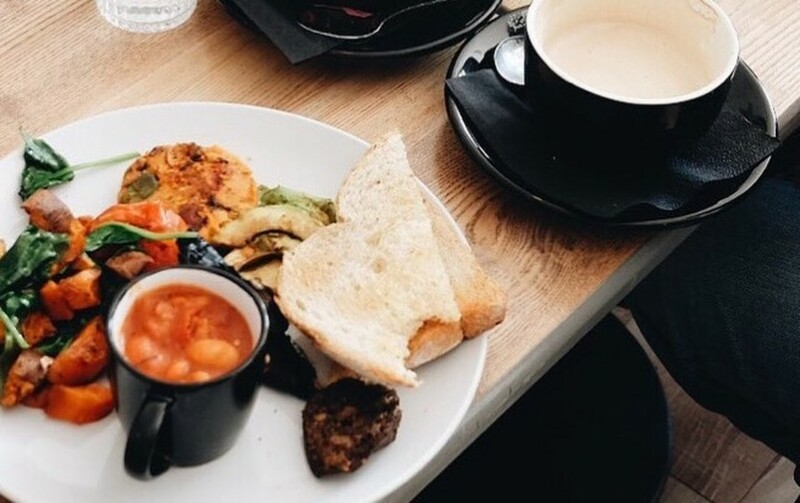 The trailblazing coffee-bar that helped kick start Liverpool’s Baltic Triangle renaissance, Unit 51 serves a small but mighty breakfast menu from 12noon on weekdays and until 2pm at weekends. Don’t let the limited options put you off – their classics are some of the best in the city. 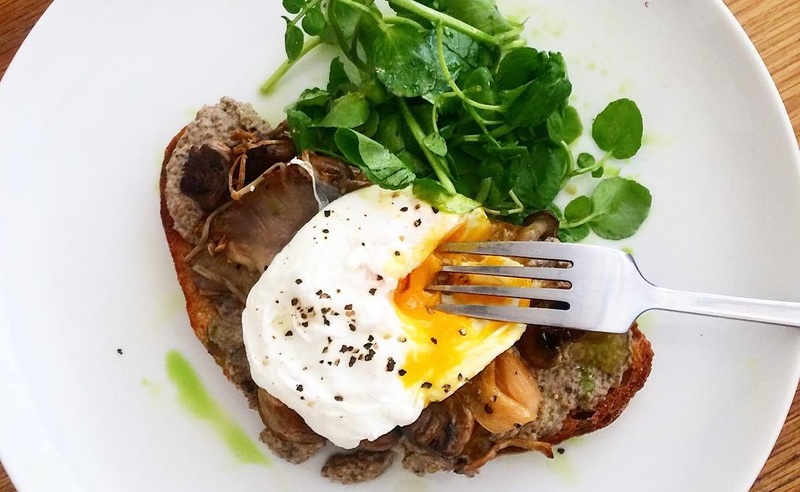 Serving Liverpool’s best suppliers (such as the Bakehouse above), enjoy full English ‘breakfast specials’, poached eggs on toasted sourdough with mushrooms and tomatoes or a meaty breakfast sandwich. Or opt for French Toast with cinnamon, served with natural yoghurt, fresh berries and maple syrup. Set in the elegant Georgian Quarter of Liverpool, this street-side bistro has a European vibe reminiscent of Parisian cafes and Italian coffee shops – perfect for a lazy Sunday morning brunch. 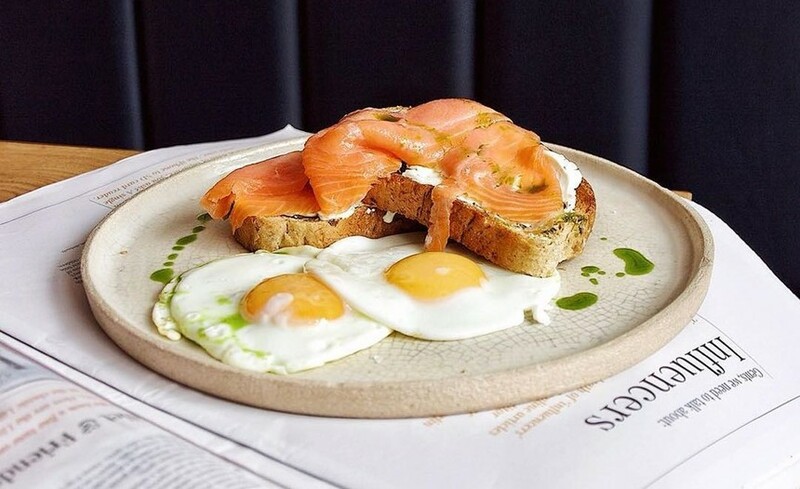 Located on Falkner Street, The Quarter offers all the classic hot brunch dishes you’d expect, but adds their ‘Usuals’ to the list – why not try banana on toast with peanut butter or ‘Eggs on fire’ (sriracha scrambled eggs with cream cheese on a brioche bun)? With a backdrop of stunning buildings, this is a Instagram-friendly brunching spot near the University area of the city, making it ideal for students looking to show their parents the highlights of the city when they visit. Looking for a breakfast spot in the business district of Liverpool? 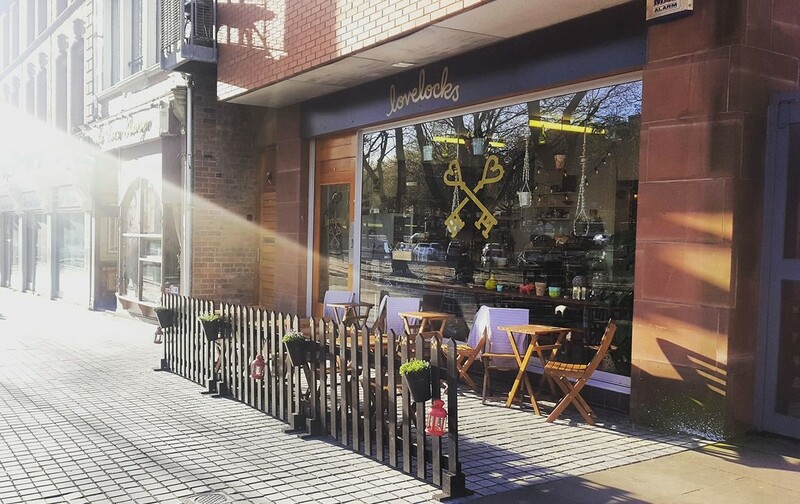 Tucked away on Old Haymarket, you’ll find the small but sweet Lovelocks, just a stone’s throw from the city’s World Museum and Walker Art Gallery. This quirky cafe, with its hanging pot plants, green tiles and retro feel, offers customers yummy porridge with a range of tasty toppings, baked eggs, avocado on toast and much, much more. It’s also dog friendly, so you can take your pet pooch for a spot of brunch too. Liverpool’s Ropewalks area might be best known for its thumping nightlife scene, but this new, ultra-chic coffee bar is disrupting that image. Situated behind an unobtrusive glass wall, Mother Espresso offers pared-back aesthetics with it’s wooden tables, white walls and concrete floors. And the food? That’s not half bad either: scrambled eggs on toast with rainbow chard, a breakfast bagel of egg and avocado and reimagined classics like eggs benedict all served on artisan ceramics. Just one word of advice from us: if you want your coffee in a mug, make sure you ask. The aesthetically pleasing pots might look beautiful but they’re difficult to hold when they’re full of steaming hot coffee! Small but trendy, Cow & Co. is located off the beaten track a short walk from Paradise Street in L1. But if you make the trip to this quiet, residential square, you’ll be rewarded with delectable pastries, delicious coffee and a brunch menu that includes salads, sandwiches, bagels and hot dishes such as mushrooms on toast. Plus, if you fancy something sweet, take a browse of their cake selection which is delivered daily. Our past favourites have included strawberry and poppy seed cupcakes, rosemary and clementine bundt cake and incredible vegan doughnuts. This co-operative run cafe sits at the junction of Smithdown Road and Ullet Road in South Liverpool, serving brunch all day, everyday to the hungry student population of Wavertree. With mountains of scrambled egg on toast, a choice of meaty, veggie or vegan full English breakfast and frequently specials to spice up the menu, this is a great cafe to grab breakfast with friends. Our tip? Make sure you get one of the dishes served with their house baked beans – they’re out of this world. Another Smithdown Road success story, Belzan has won acclaim from food critics including The Guardian’s Grace Dent for their innovative food served at the heart of Liverpool’s student district. Head inside their industrial-style bistro, with it’s white-washed walls and … for build your own breakfasts with two eggs cooked how you want plus additional bacon, house beans, hash browns and much more, or pick one of their brunching favourites such as Shakshuka, salmon and eggs or smash avo toast. For a alternative to your usual caffeine fix, why not try one of their Vietnamese iced coffees? Espresso and condensed milk, shaken and served long. A list of the best brunch Liverpool has to offer wouldn’t be complete without mentioning Tavern Co. 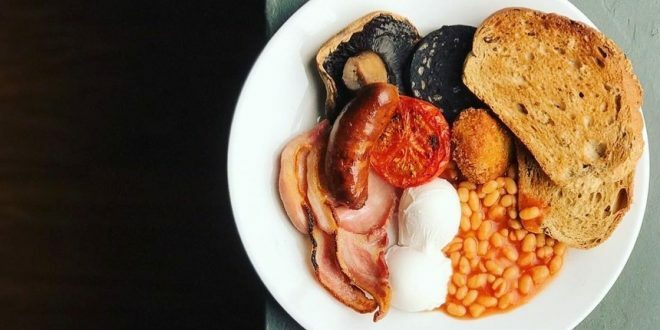 Pioneers in breakfast feasts, this Smithdown establishment, located right opposite Penny Lane, is famous for it’s award winning full English and extensive breakfast choices. Popular with students looking to nurse their hangovers, Tavern offers classic breakfast dishes alongside state-side favourites. Look out for the Boston Bagel , the Chorizo Scrambler, Apple Pie French Toast and their spectacular pancake combos, including oreo cookies and cream, nutella and strawberry or bananas foster pancakes. 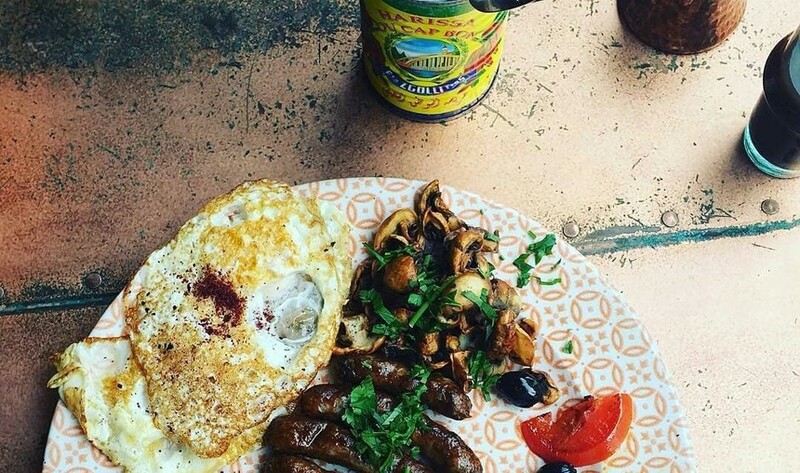 For a Lebanese take on your morning menu, Bakchich serves middle eastern breakfast delights until 12pm everyday. From a classic Shakshouka to their signature Arabic Breakfast with zaatar eggs, falagel, foul moudamas, labneh and bread, it’s the perfect place to head if you’ve tired of classic brunching dishes. We like the sound of the yogurt with fresh pomegranate seeds and orange blossom. Formerly the The Moon and Pea, Pippin’s Corner on Lark Lane comes from the owner behind the legendary Lark Lane bistro. And this new edition of the cafe is proving itself just as popular with delectable brunching options for South Liverpool’s hungry inhabitants. With full English breakfasts just like Ma used to make, pimped-up hot chocolates and yummy eggs benny, you’ll fill yourself up to the brim in the new-look cafe, which uses local produce where possible, including Liverpool roasted coffee beans and Cheshire meats. 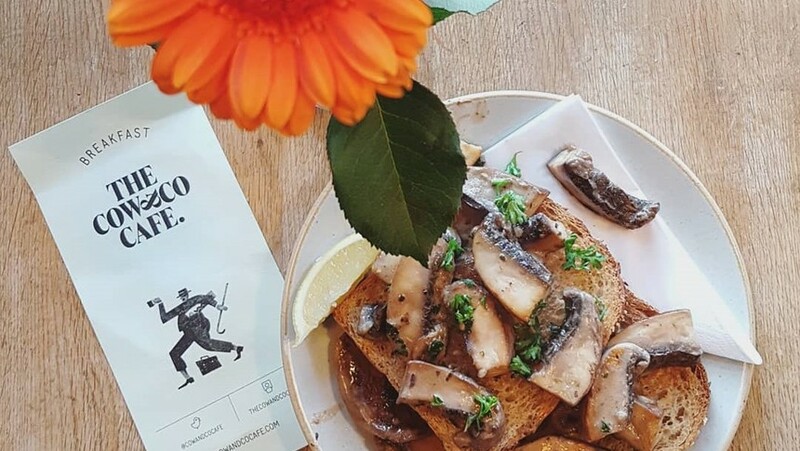 This Lark Lane tapas bar might not seem your first choice for brunch but Monkey Grinder’s breakfast menu packs a punch with its Spanish twist on everyday classics. We recommend the Spanish breakfast – chorizo, bacon, mushroom, roast basil tomatoes, beans, eggs, patatas bravas and has brown – or one of their takes on eggs benedict, including additions of avocado, chorizo and iberico serrano. Or, verge towards the lunching side of brunch and enjoy their Bocadillos (hot sandwiches) with fillings including fried calamari, rump steak, and halloumi. 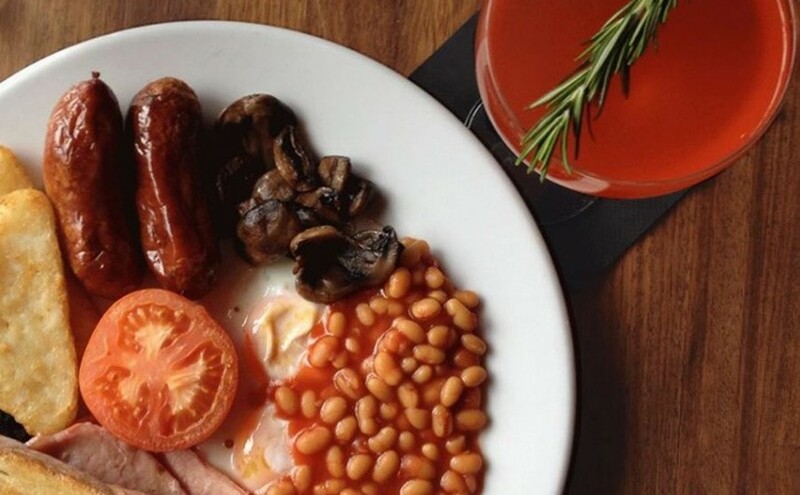 We hope you’ve enjoyed our list of the best spots for breakfast Liverpool has to offer. 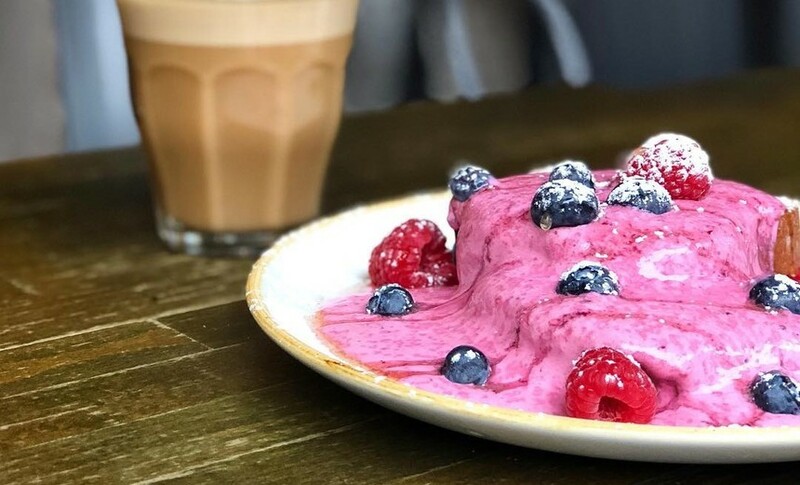 If you’re looking for a guide to Liverpool’s most health-conscious restaurants, make sure you check out our guide to the Best Healthy Eating Spots in Liverpool. Looking for something lighter than brunch? Craving cake and coffee? We’ve got you sorted with the city’s best coffee bars and cafes. Interested in what else Smithdown Road has to offer? Our Ultimate Guide to Smithdown Road is perfect for new students looking to impress on their parents first visit to Liverpool. Wall of Fame of Victoria Street does an amazing £6 breakfast. Best in town. Highly recommend it.